If an elderly loved one is starting to experience reduced mobility, it may be time to start to perform aging in place renovations throughout his or her home. Accessibility elevators or stair lifts are essential features for any home that is being renovated for aging in place care. A company that offers lifts and elevators serving Salt Lake City can help you decide on the best stair lifts or elevator services for your loved one. 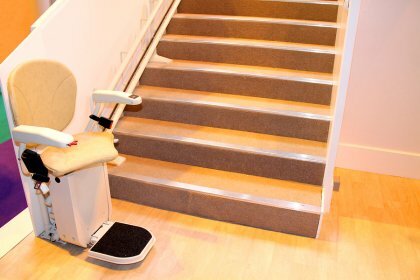 There are several benefits to installing a new stair lift in an elderly relative’s stairwell. Stair lifts are very easy to use, and can be operated with a simple push of a button. A stair lift can be modified to accommodate all kinds of accessibility equipment, such as walkers and wheel chairs. When you install a new stair lift your loved one’s home, you can rest assured that your relative can safely reach every floor of the house, without being put at risk of a slip, fall, or other type of injury. 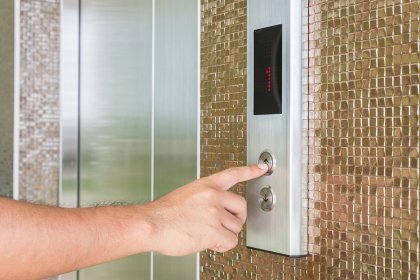 When you install a new elevator in your commercial building, it is a great idea to teach your workers about the basics of elevator etiquette. In this video, you will review some essential information about how to remain polite when you are using an elevator. As you are waiting for the elevator cab to arrive, for example, you should always stand to the side. A company that offers new elevators in Salt Lake City can provide you with more information about proper elevator protocol. In order to make sure that your commercial elevator remains in safe working condition, you will need to have it inspected by a company that specializes in elevator maintenance. With routine repairs and maintenance procedure, you can keep your elevator up and running for many years to come. Elevators have completely revolutionized the way that we move between floors in modern buildings. 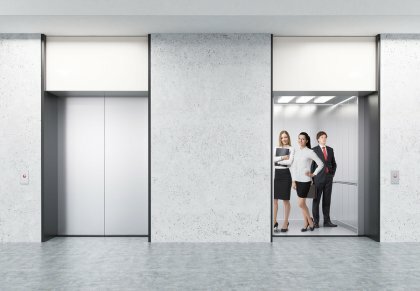 When you install a new elevator in your building, you will be able to provide your clients and customers with a safe and easy form of transportation. As you are gearing up to install an elevator in Salt Lake City , you will want to gather information about the key parts and systems that help your elevator operate. To help you make sure that you are able to correctly operate your commercial elevator, here is a look at some essential elevator terminology that you should know. The cab is the part of the elevator that carries passengers up and down through each floor of your building. When a passenger steps inside the cab, he or she should have a smooth and pleasant experience while the elevator travels between floors. Some of the important components of the cab include the platform, load bearing units, and door. To add a touch of elegance to your building, you can adorn your elevator with decorative elements. The governor is a critical safety system for any elevator unit. This weighted system ensures that the cab moves up and down at a smooth and controlled speed. One side of the governor is attached to the elevator cab, and the other side is connected to a centrifugal device. If the centrifugal device detects that the elevator is starting to move too quickly, it will automatically show the cab down. When a passenger steps out of the elevator, he or she will set foot on its landing. The landing makes up the secure platform that allows for safe entry and exit of the elevator. Depending on the style of your elevator, the landing may have its own separate doorway that will open when the cab reaches the floor. Landing systems may also be used to load and unload cargo from a freight elevator.